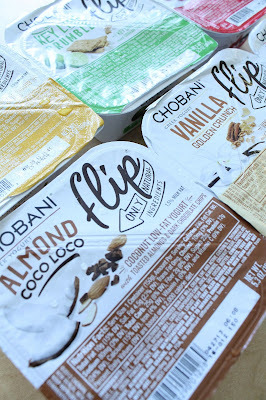 Remember how in this post I said I wanted to try the new Chobani Flips? Well, I guess it's my lucky day, because Cho was awesome enough to send a case of their new Flips my way! I think this is a really great idea. New, delicious flavors of yogurt that are accompanied by a side of extra mix-ins. Raspberry puree, graham crackers & white chocolate, and toasted almonds are just a few of the available options. Right away, I thought my favorite would be the Key Lime Crumble, with graham crackers and white chocolate mix-ins. And while this was a delicious flavor, my favorites were actually the Raspberry Choco Fix and Almond Coco Loco. Talk about scrumptious. And the Raspberry Choco Fix actually came with fresh raspberry to mix in! This was my favorite for that reason alone. I expected to be mixing the chocolate chips into raspberry yogurt. As for the Almond Coco Loco, I loved the coconut yogurt. It was like being on a beach. The crunchy toasted almond and chocolate chips really made this yogurt a winner in my book. All of the other flavors are great as well, and I highly recommend trying them all. I think this is a really creative idea for yogurt (having mix ins), and Chobani, as usual, executed the idea well. 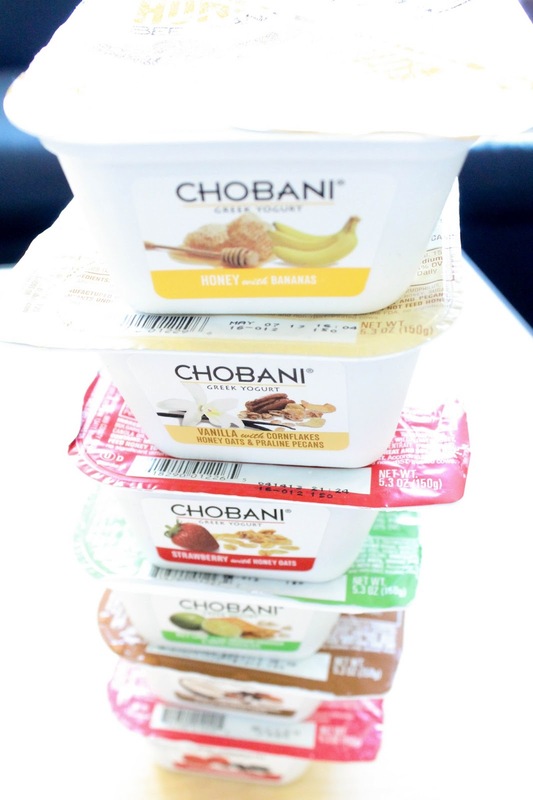 Whether you are a fruity or non-fruity yogurt person, Chobani has something for everyone. Grab a Flip before they all fly off the shelves!